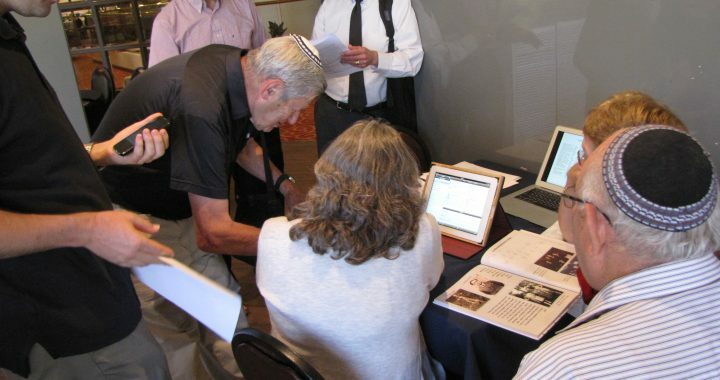 On July 7, 2015, Bacharach descendants gathered in Jerusalem to meet each other and reconnect branches that have been separated for 500 years or more. Descendants of several of the lines for which we have Y-DNA represented in the project and a couple of lines for which we don’t have DNA were in attendance. Everyone was eager to figure out how they were related to each other, but we had only one new set of close cousins, two descendants of Jacob Bachrach of Hattenbach, Hesse, Germany (1775) met for the first time and discovered they are 3rd cousins once removed! We had attendees whose oldest known Bacharach ancestors lived in: Hattenbach, Hesse, Germany; Mansbach, Hesse, Germany; Fellheim, Bavarian Swabia, Germany; Ruzhany, Belarus; Slonim, Belarus; and Borisov, Belarus, as far back as the 17th or 18th centuries. We will try again another time, another place. Stay tuned! Click on the photos below for the slide show. 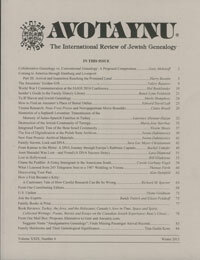 For the Winter 2014 issue of Avotaynu Magazine, I wrote an article explaining the Bacharach DNA project. You can download a PDF copy of the article here. I recently discovered a very helpful utility at mymcgee.com that helps interpretation of Y-DNA data. I’ve created a couple of trees and posted them to a new page here. Read more about the project in Avotaynu Magazine. Bacharach/Bachrach/Bacherach Surname DNA Project, © 2019 .